Welcome to Follow the Money’s Weekly Metals Report for the week of August 21! Has the market finally woken up to this game and decided to not play anymore? 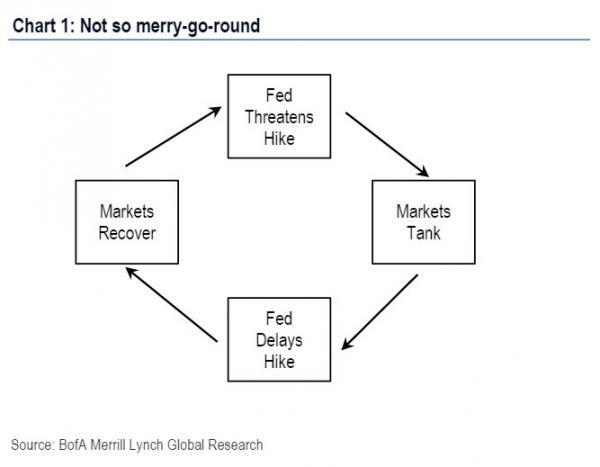 This week, the Fed released the minutes from last month’s FOMC meeting. Whatever credibility the Federal Reserve still has may be eroding as the minutes, along with comments by Fed Governor Dudley, indicate the Fed wants to keep up the pretense that a rate increase is still possible in September. The market isn’t buying it, placing the likelihood of a Sept rate hike at just 12%. These “minutes”-released a full 3 weeks after the actual meeting- are less a record of what was actually discussed and more a document designed to evoke a desired market response. 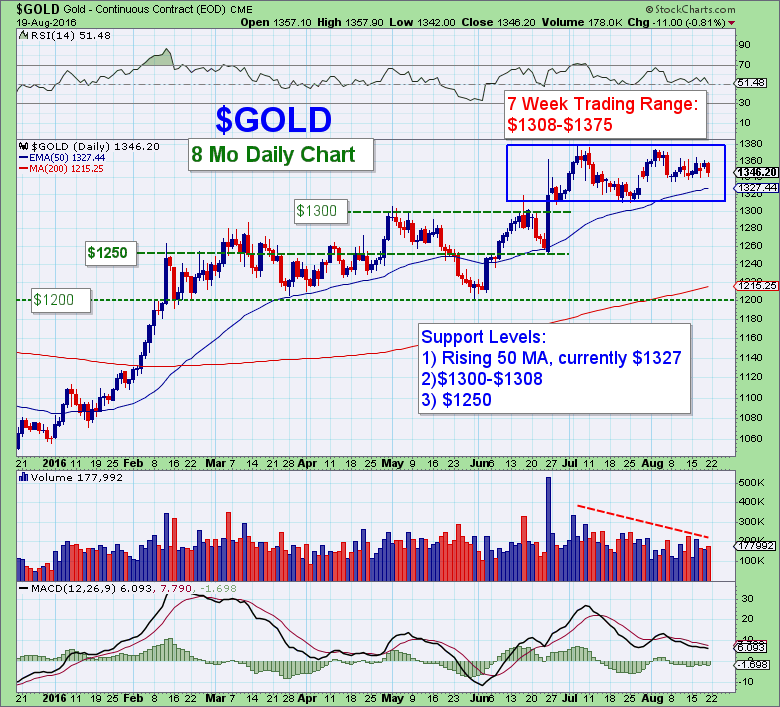 Gold, silver, and the mining stocks remain in a holding pattern, unable to break above or below their 7-week trading ranges. On Friday morning, silver briefly touched its $19.25 floor before bouncing slightly to close the week at $19.32. 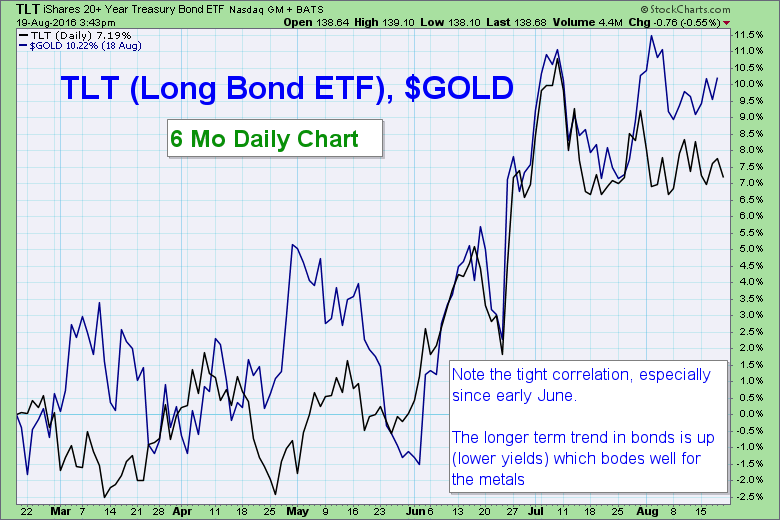 Recently, gold has traded with a very close correlation to bonds. Weakness in copper and strength in crude oil appear to be tugging silver from opposite directions. More on that in the charts below. 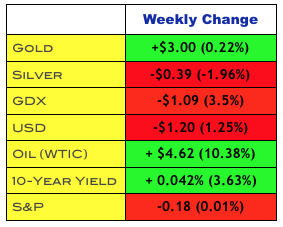 For the week, gold was up $3 while silver was down $0.39. 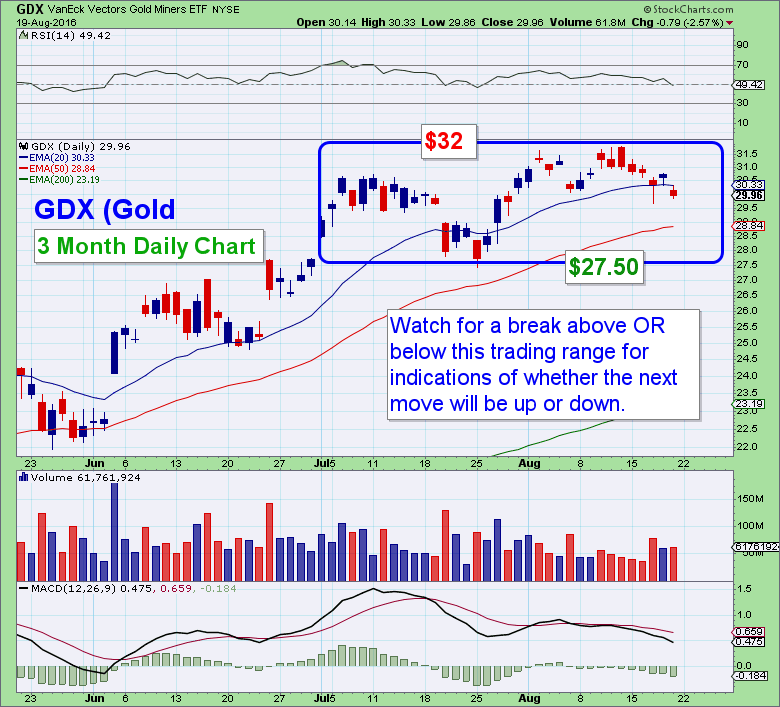 The mining stocks gave back 3.5% as measured by GDX. The USD was down $1.20 on the week, closing at $94.48. Oil rallied another 10%, after climbing 6% the previous week. The yield on the 10-yr rose to a “whopping” 1.57%. The S&P was flat again, closing down 0.01%. Deutsche Bank Discloses $2 Billion Gold and Silver Mining Share Portfolio. Last week the Swiss National Bank disclosed their $1 billion position in precious metal equities – and on Monday Deutsche Bank, Germany’s largest bank, disclosed that as of June 30, it owned approximately $2 Billion in gold and silver mining shares. Astute traders saw big money entering this market months ago, as evidenced by price and volume. Today’s headlines are often last month’s price and volume. China says seeks closer military ties with Syria. Chinese state media cited a state official as saying that China is seeking closer military ties with Syria during a rare visit to the war-torn Middle Eastern country. Now we can add China to this web. Is China (and the other players) more concerned w/ fighting terrorism or about the energy resources and infrastructure in the region? Heavily reliant on the region for energy supplies, China tends to remain unengaged in Middle Eastern diplomacy. The significance and details remain unknown; nonetheless, a seismic shift is underway in the global landscape of geopolitical alliances and the effect on the U.S. dollar’s status as the global reserve currency will be profound as this realignment progresses. Erdogan Threatens to Abandon U.S. Dollar in Trade With Russia. The growing tension between Turkey and the west accelerated this week as the Turkish foreign minister said the country “may seek other options outside NATO for defense industry cooperation…” This came the same day that Turkey said it will resume airstrikes on Islamic State targets in Syria- ironic coming from a nation which directly engaged in oil trade with the Islamic State. The most notable development was that, supposedly, as part of a discussion between Putin and Erdogan, the Turkish president suggested the abandoning of the US dollar in bilateral trade between Turkey and Russia. This came after both parties agreed to proceed with the Turkish Stream pipeline, a deal intended to deliver gas from Russia to Turkey and then onto Greece. The implications of Turkey’s potential pivot are crucial to the future of the dollar, the NATO “alliance,” the control and supply of energy to Europe, and the growing hostility between Russia and the west. magnitude more than declared. China will announce their actual reserves when the timing suits their strategic goals. Energy analyst Steve St Angelo lays out why a falling Energy Returned on Energy Invested (EROI) will result in much higher metals prices. EROI will play a significant role in the years ahead, as a diminishing supply of cheap energy collides head-on with a global economy that requires exponential increases of cheap surplus energy. 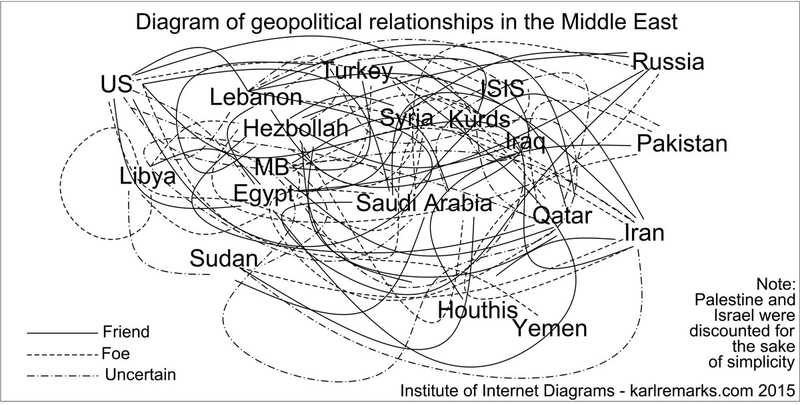 This analysis also offers a much more coherent explanation for the agendas driving the turmoil in the Middle East, Russia, and Ukraine than the narrative portrayed by the media. China’s Central Bank Plans Push to Increase Yuan’s Global Usage. China’s central bank said it plans to push the yuan’s global use by seeking more cooperation with other countries and improving the infrastructure needed to support wider use of the currency. 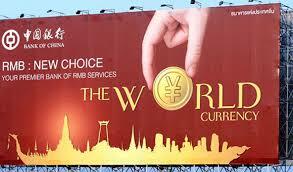 The statement comes as the World Bank is set to become the first SDR bond issuer in China. World Bank president Jim Yong said, “This is a landmark development for China’s bond market and for the SDR as an international reserve asset… World Bank issuance of SDR bonds in China will support the G-20’s objective of expanding the use of SDRs…” While longer-term in nature, the growing use of the yuan and SDR will serve to erode the reserve currency status of the dollar. Gold continues to battle for a foothold above $1350, closing the week at $1346. 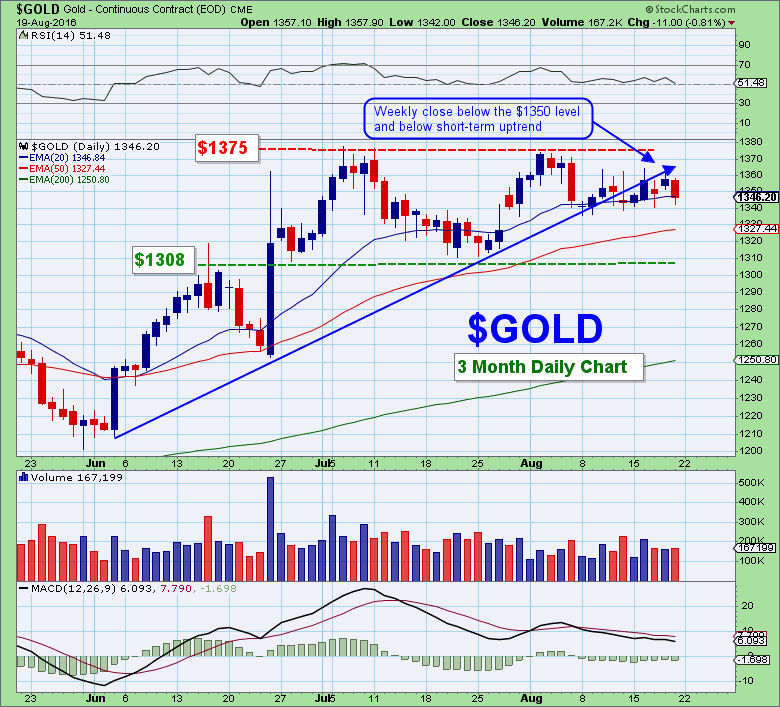 Gold closed the week about where it began- right in the middle of its 7-week trading range. The fundamental case for higher prices remains firmly intact, but a break above or below the $1308-$1375 trading range will provide the best indicator for the next short-term move. A high volume bounce off $1308 support and a subsequent break above $1375 resistance would be very encouraging. Silver closed the week below the $20 level at $19.32, marking a 7th consecutive week where silver traded both above and below that key level. Regaining $20 presents the first challenge, followed by $22 and huge resistance at $26. 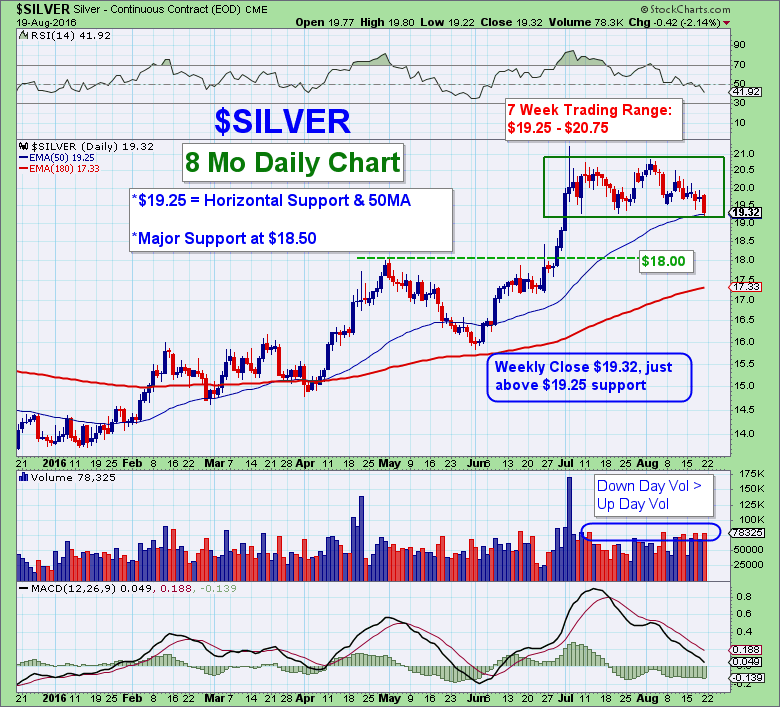 Silver closed the week a smidgeon above key support at $19.25- the floor of its 7-week trading range and its 50EMA. The 3-month chart below shows silver working itself into a descending wedge that should resolve itself – up or down – this week. Like gold, the fundamentals have never been better, but short-term red flags include the bearish Commitment of Traders report (Big Banks excessively short), the above average volume on down days, speculator sentiment at extreme optimism, and a possible double-top at $20.75. 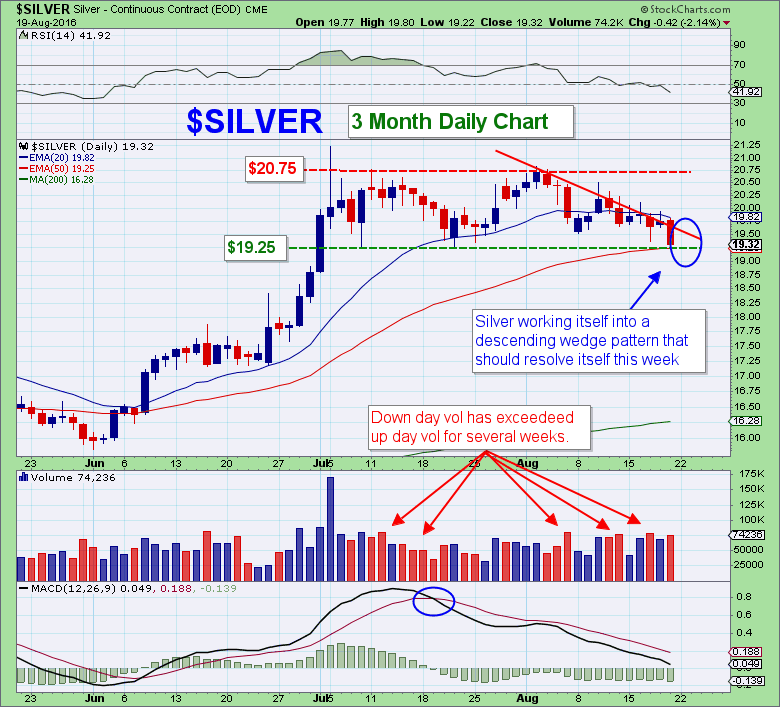 That said, major support at $18.50 and $18 is clear to anyone monitoring the silver chart. A drop back to that area would keep the new long-term uptrend intact while removing any froth from the big moves of recent months. The mining stocks remain more resilient than the underlying metal, but closed the week back below the significant $30 level. Key horizontal support remains at $27.50 and $23. A convincing break above $32 would set the stage for a run to $40. There has only been one touch of the 50MA since the Jan breakout, which was bought aggressively. The dollar sold off this week, making a low of 94.05 before bouncing back on Friday. A falling dollar during the rest of the week provided only negligible support for the metals while the rising dollar on Friday induced heavy selling. That’s another potential sign of short-term weakness. Crude oil staged another nice rally this week (10%) on the heels of last weeks 6% gain. Wednesday’s petroleum status report showed a bullish inventory draw of -2.5m barrels of crude. 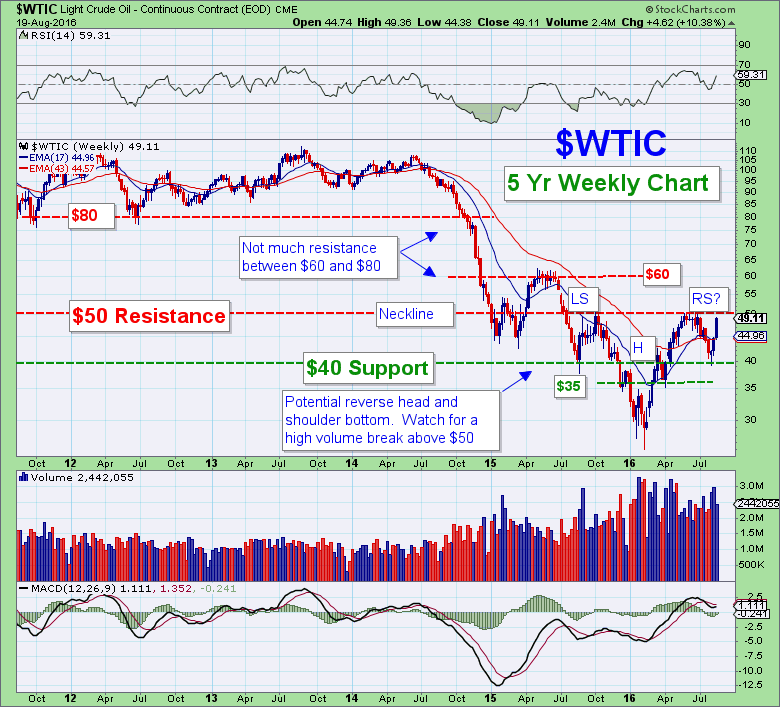 This weeks upcoming report (Wednesday) will likely determine if oil can break above resistance at $50. Another driver has been more talks of OPEC production freezes. Whether talk will translate to action remains to be seen. Oil is attempting to complete an 18-month reverse head and shoulders bottom. A break above the $50 “neckline” would complete the pattern and potentially provide a base for further upside. The metals, especially silver, enjoy a rising oil price. That said, oil has rallied almost 25% in just over two weeks, so it may be due for a pullback. 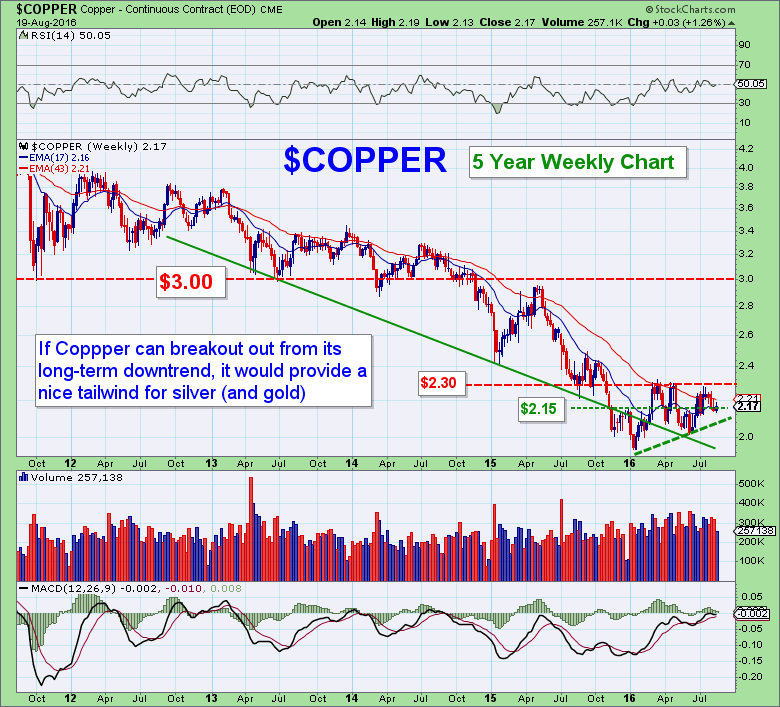 Copper has been in a brutal downtrend for several years, and looks to be trying to reverse. Like oil, a rising price of copper provides a tailwind for silver. The biggest headwind for copper is a sluggish global economy and the accompanying deflationary forces. 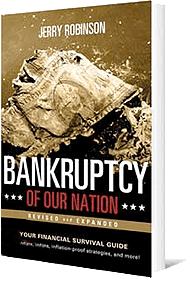 Tailwinds include a rising middle class in developing nations, the growing trend of “easy money” central bank policies (inflationary), and the diminishing supply of “low-hanging-fruit” mine deposits. Gold has a tight correlation to bond prices, especially over the past several months. When TLT (20+ Yr Treasury Bond) goes up, yields go down. The long-term trend of higher bond prices (lower yields) is a positive for the metals. 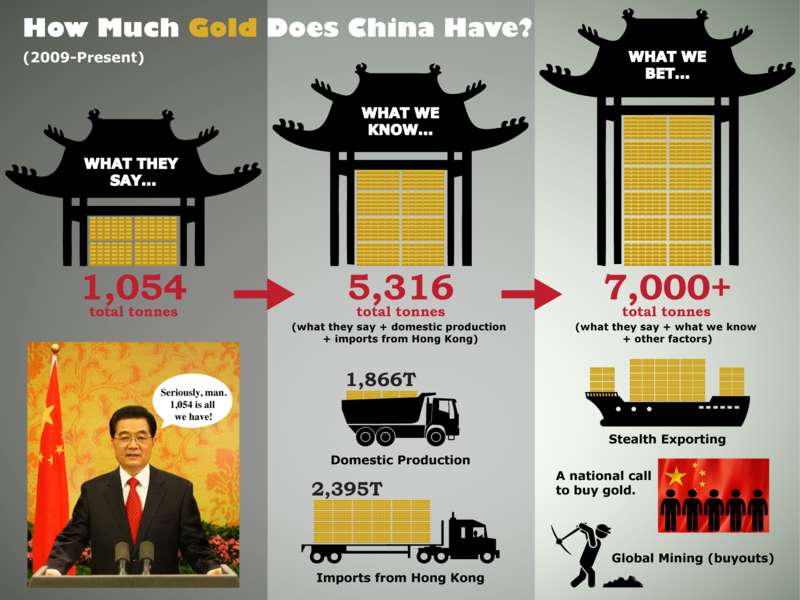 The growing list of countries enacting Negative Interest Rate Policy (NIRP) is perhaps the biggest positive fundamental for gold demand. 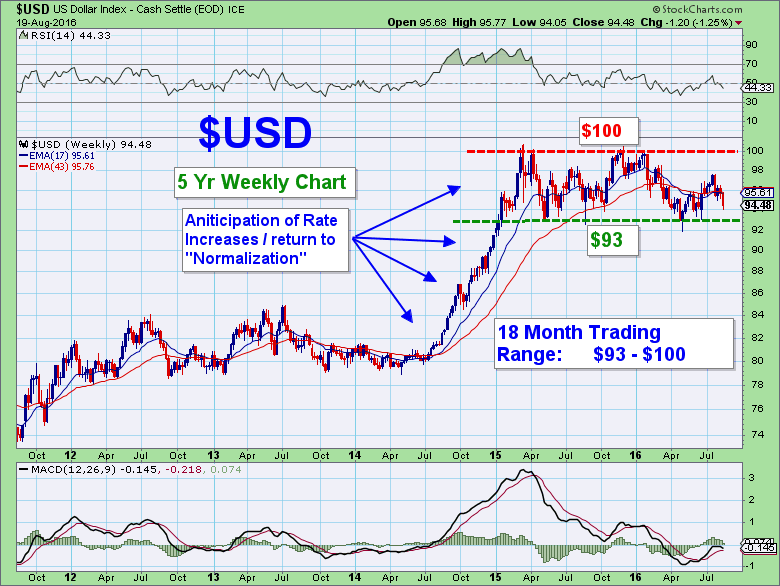 The very short-term trend for metals and miners turned down after Friday’s decline. The intermediate and long-term trends remain up with gold, silver, and GDX, as each are trading above their respective 50/200MAs. The Commitment of Traders Report showed slight improvements in both silver and gold, but both remain at historic extremes. Is the correlation of extreme commercial short positions with intermediate tops becoming less relevant? That remains to be seen, but if the big banks were going to attempt to engineer lower prices, the current technical picture could provide a ripe environment for them to give it a go. A sharp selloff to major support would not be surprising. Above is a chart highlighting one of the many powerful trends being tracked at Follow the Money. With interest rates near zero, investors searching for yield have been buyers of Real Estate Investment Trusts (REITs.) 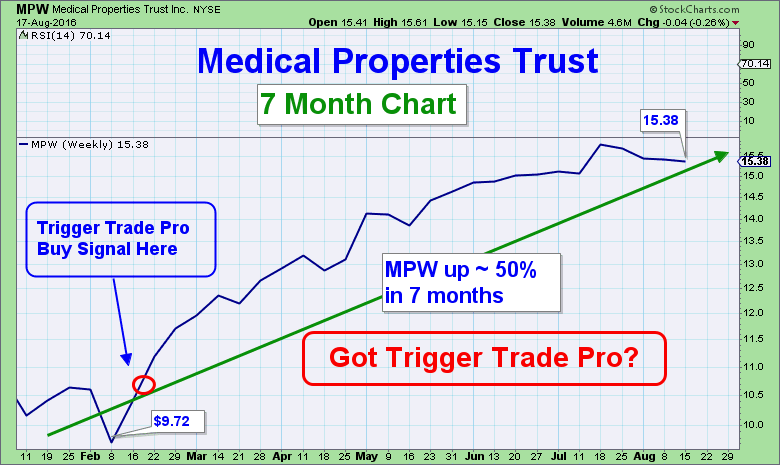 One of the several REITS tracked by FTM, Medical Properties Trust, is up over 50% from its Feb low and carries a very attractive 6% Dividend. 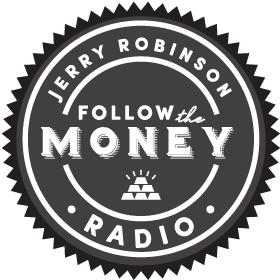 Trigger Trade Pro and twice-weekly conference calls with Jerry Robinson help FTM Pro Traders to consistently identify and profit from trends like this. The growing instability in the Middle East, rising tensions with Russia over Ukraine and Crimea, the steady incremental shifts away from the dollar, the global trend towards NIRP, tensions with China over the Spratly Islands, central bank easing, bilateral trade agreements bypassing the dollar, the flow of physical gold out of western vaults to the east, etc. are all tremendous fundamental factors that will continue to assert themselves over time. In the meantime, the precious metals complex is technically postured in such a way that I’m increasingly weary of big commercial bank shenanigans to maneuver prices lower in order to cover their Comex bets on lower prices. There have been numerous cases of large entities dumping enormous amounts of paper gold/silver contracts during late-night hours of low liquidity. Profit-taking is to be expected in any bull market, but the big banks have a habit of giving the metals an extra shove down the stairs when it suits their bottom line. If support levels give way, look for institutional money to show up at the major support levels mentioned for signs of a bottom. A break above the respective trading ranges would provide a buy signal. If so, keep an eye on the next major resistance levels.